Hi Larissa! Thanks for hosting a post for me during my blog tour. The Howling Turtle is a great blog name. I’d like to share with your readers a few things I learnt during the writing of my series. I’d better preface this post by saying that I didn’t sit down to write the Black & White trilogy with the word “dystopian” uppermost in my mind. It was the label that seemed to fit after I’d finished a couple of books, but I’ve since learned more about it and I’m excited to read more in this genre. For that matter, I didn’t sit down to write a trilogy either, but when I got to the end of the first book there was clearly a lot more to tell. Having said that, here are some tips that hopefully will be useful if you’ve got some ideas that could turn into such a trilogy (also applies on a more general sci-fi level), or even in the midst of edits on one. Define the event that created this world. Was it natural or man-made? A meteorite crashing into Earth and obliterating large sections of society? An uprising that overthrew the government? Do the changes affect the entire planet or just one or two countries? It could even take place on another planet. Like with any other type of information, don’t drop all this at once, but it will form the backbone of your series and must be well defined in your own head. Even better, keep written records. Inevitably, it will have a bearing on the action happening in the present. You can also explore the monumental event that created your world in a prequel. This is what I did with my series. What are the rules that govern this world? So you’ve gone into detail on the background, now it’s time to look at how this peculiar world shapes events in the here and now. More pertinently, the story your characters are telling. Of course, the action could come from what happens when they kick against those rules. What if children in your world were homeschooled by robots and one of them broke their programming, revealing things about the government that aren’t meant to be disclosed? (Ideally this would be a result of tinkering by the student – if it’s a YA or MG story, a key rule is that your young protagonists should be the drivers of the action.) How would the breaking of one rule have a ripple effect on others? Who is in charge? According to the Oxford English Dictionary, a dystopia is “an imaginary place or society in which everything is bad”. That leaves us a lot of scope for interpretation, which is good, but it’s likely that any ruling government isn’t going to be democratically elected. If there is a voting system, is it rigged or restricted only to certain groups? If no central body is in charge, how are things organised? My book features a hyper-organised world in which fabricated food is available constantly, but a dystopia could just as easily be a primitive society in which food and other resources are at a premium. How would this impact on your plot? In all, I don’t think dystopia is a restrictive genre at all. You can create any world you want (as long as it is, in some way, bad). Do you find these tips useful? Do you enjoy reading dystopian novels? Have you written a book or series in this genre, or would you do so in the future? What is the price paid for the creation of a perfect society? 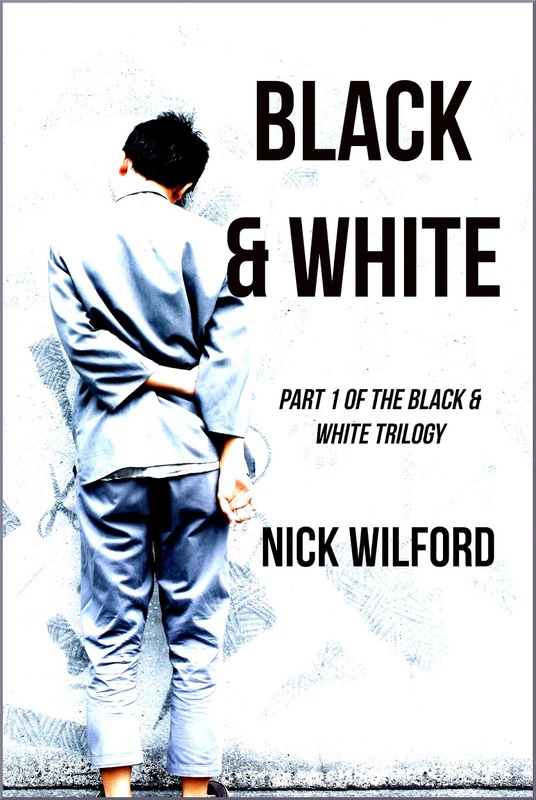 In Whitopolis, a gleamingly white city of the future where illness has been eradicated, shock waves run through the populace when a bedraggled, dirt-stricken boy materialises in the main street. Led by government propaganda, most citizens shun him as a demon, except for Wellesbury Noon – a high school student the same age as the boy. Upon befriending the boy, Wellesbury feels a connection that he can’t explain – as well as discovering that his new friend comes from a land that is stricken by disease and only has two weeks to live. Why do he and a girl named Ezmerelda Dontible appear to be the only ones who want to help? As they dig deeper, everything they know is turned on its head – and a race to save one boy becomes a struggle to redeem humanity. Nick Wilford is a writer and stay-at-home dad. Once a journalist, he now makes use of those early morning times when the house is quiet to explore the realms of fiction, with a little freelance editing and formatting thrown in. When not working he can usually be found spending time with his family or cleaning something. He has four short stories published in Writer’s Muse magazine. Nick is also the editor of Overcoming Adversity: An Anthology for Andrew. Visit him at his blog or connect with him on Twitter, Goodreads, Facebook, or Amazon. Ooh, interesting. I enjoy reading tips from fellow writers. Best wishes to you both! Darla - Hope they're helpful! Ellen - Thanks! I like hanging out with the Turtle. Excellent tips! I've read some dystopians before, but never written one myself. If I ever decide to, I'll have to remember this post! I like your short list and how it really pretty much covered everything you need to do before you start. I love comments, and I will definitely read anything that is left here. Don't be shy, I'd love to know what you are thinking! 5 TURTLES: AMAZING read. I loved this book, and it's going on my favorites shelf forever! You must get a copy of this book! 4.5 TURTLES: A really great read, I highly recommend! 4 TURTLES: A great read, I definitely recommend. 3.5 TURTLES: A very enjoyable read, I recommend you check it out. 3 TURTLES: An enjoyable read, but I suggest check out if you like the topic before adding it to your to-read list. 2 TURTLES: A so-so read. It had some redeeming qualities, but not enough to recommend. 1 TURTLE: A bad read. I barely got through it/ didn't finish it.